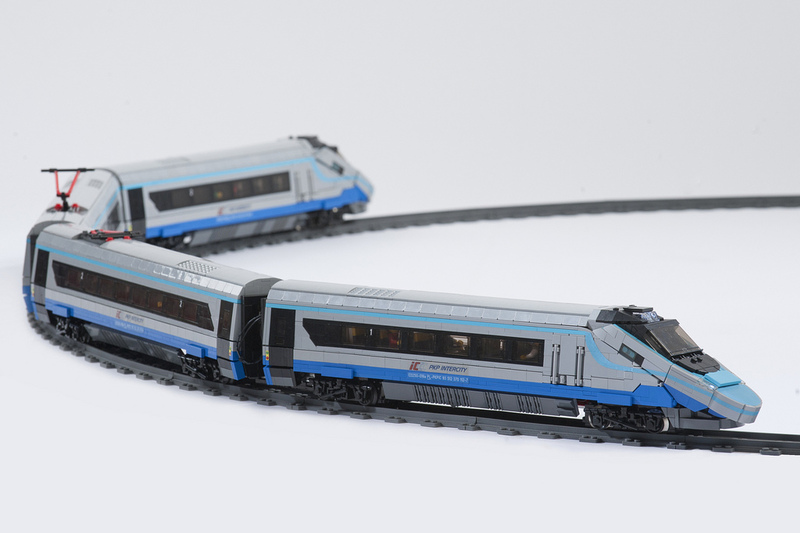 I always find myself amazed with LEGO train builders’ ability to translate feats of human engineering, into feats of LEGO engineering, and this beautiful Alstom Pendolino ED250 by Mateusz Waldowski is no exception. For those curious about the name, Alstom is the manufacturer, and ED250 PKP is the actual model of train. Pendolino designates this train as part of a family of “tilting trains”, trains that tilt into a curve so they can go around at a higher speed, without causing passenger discomfort. Mateusz has done an excellent job achieving the slightly sloped sides of the passenger cars, along with the round nose of the engine, which can be the most difficult part of building a modern train. There’s also something satisfying about the red flex tube used on the electrical contact rollers, its a small detail but it provides a nice spot of color. 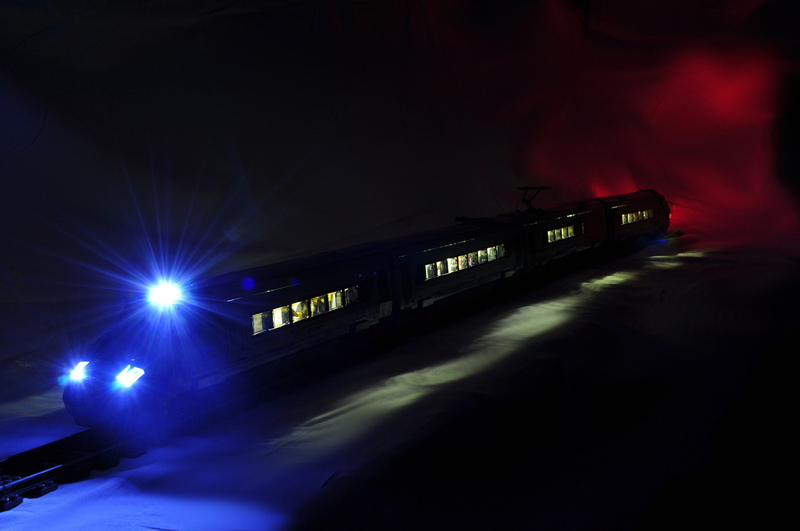 In addition, as if the expert construction wasn’t enough, the builder also seamlessly incorporated interior lighting on the passenger cars and exterior lights on both the front and rear locomotives. From 1972 through 1994, Ford marketed the Granada (not to be confused with the U.S. Granada, which is a different vehicle) as a an executive car for the British market. 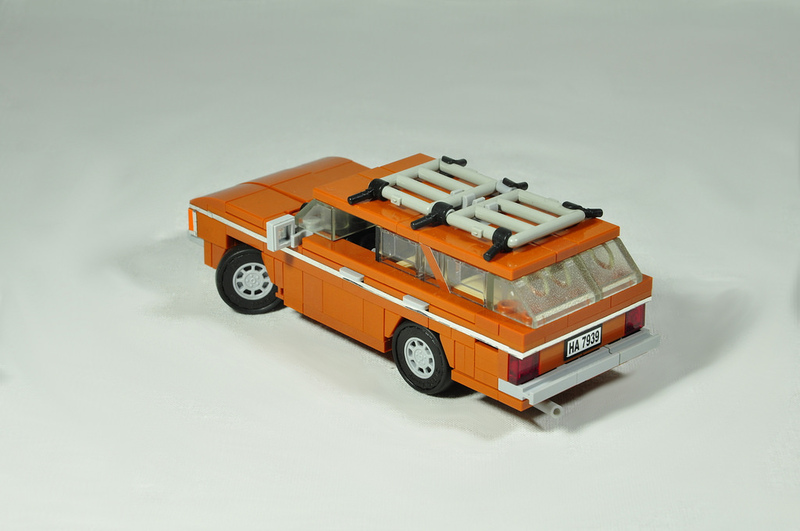 Mateusz Waldowski built this slick LEGO version of a 1977 Granada MK1 station wagon, and it looks well-suited for any minifigure family vacation. In terms of accuracy, Mateusz has done a great job of capturing the overall shape of the vehicle. The grille is spot-on, and the five-wide half-stud offset technique used for the upper half of the vehicle helps emulate the subtle slant of the window pillars. 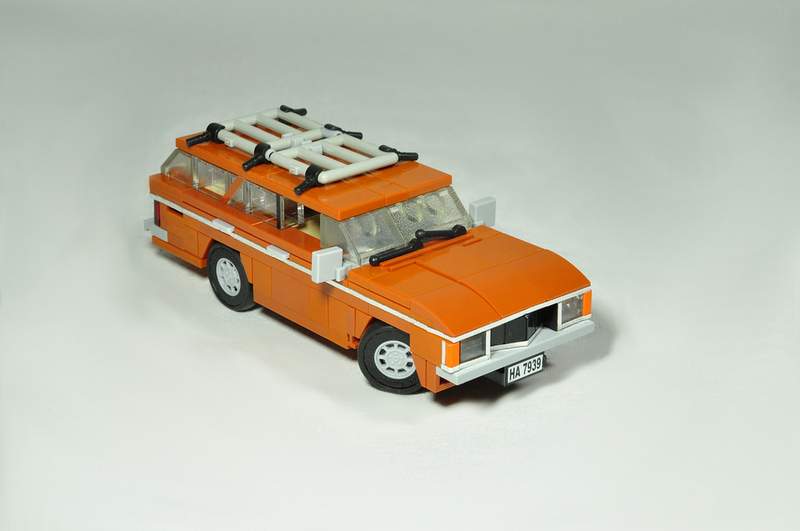 Mateusz put a lot of effort into detailing his station wagon, and the end result is enjoyable. It sports windshield wipers, a top-mounted luggage rack, clever door handles, and even custom chrome trim (represented by strips of silver decals). Another enjoyable feature is the tilt to the front wheels, which helps create the impression of steering. I almost want to take this adorable wagon on an overnight camping trip!